My personal trainer, Zack Gray at Equinox Chestnut Hill, helped me "Take it to the next level," this year. Without it, I wouldn’t be the better person that I am today. His training for balance came in handy when I was cleaning out my garage of piles of wood and garden hoses. I turned to walk, and tripped on the hose, then stumbled onto the pile of wood, landing on my feet in the middle of the driveway. Unscathed. It was like ballet! On our trip to Iceland, we had a roundtrip 50 minute walk through a dormant lava field, to a dormant volcano, which we entered and descended down to walk on the volcano floor. Again, his balance training came in handy on the uneven and loose rocky volcano floor. Once down there I demonstrated some balancing exercises for the family. Traveling was made easier too. When I first came to Equinox, I had sciatica, a sore shoulder, and back pain. Now I don’t have any of those ailments. Lifting carry-on luggage was easier. Before starting my exercise program, my wife had to tell the grand nephews that Uncle Steve couldn’t pick them up. Now, they fling themselves at me from the stairs and can I catch them and carry them around when needed with no problems. Last year I could barely get up off the ground after weeding the garden. Now, no more problems. Thanks to Zack for all his guidance, including eating advice. I enjoy our sessions. Zack is a great representative for Equinox. 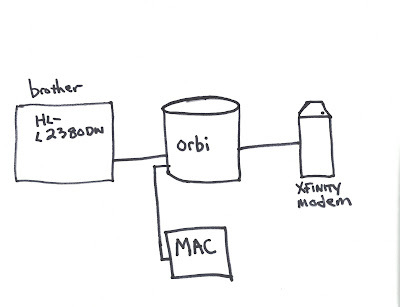 To connect a brother HL-L2380DW printer to your home network, where a Netgear Orbi is present, enable Wired LAN on the printer, then ensure that both your computer and printer are connected to the Orbi. They need to be on the same network to see each other. 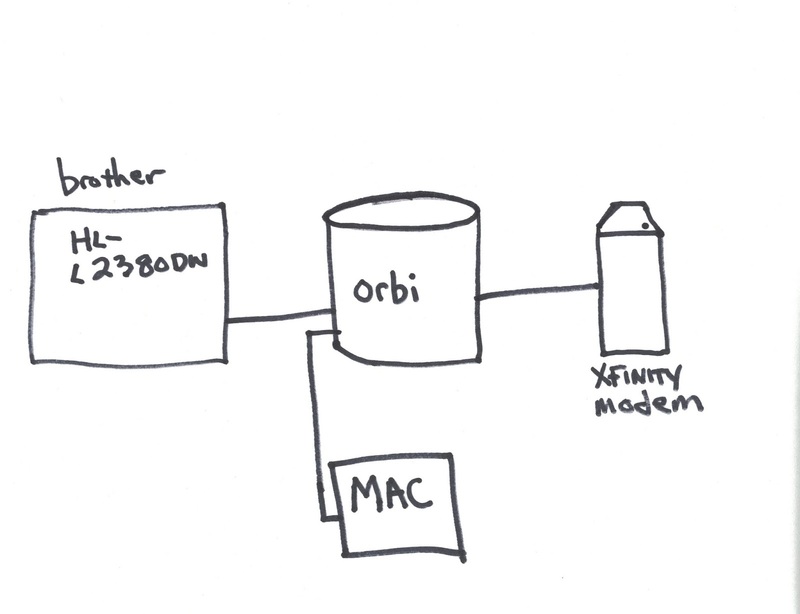 If you have your computer connected to your modem, it won't see the printer.